Wearing the proper shorts are key to ensuring you have a great run. Shorts made with the wrong material can chaff, stick to your skin in hot weather, and generally be uncomfortable. For maximum performance, it’s important to wear shorts that are designed specifically for running. This means lightweight material, moisture-wicking fabric, and liners to keep everything in place. Shorts are available in different lengths to match personal preference and for different running styles. To help you select running shorts that are right for you and your running needs, we’ve reviewed over 50+ models to determine the best men’s running shorts. Take a look at our list and find the right pair for you. First, we’ll start with 3” inseam shorts. 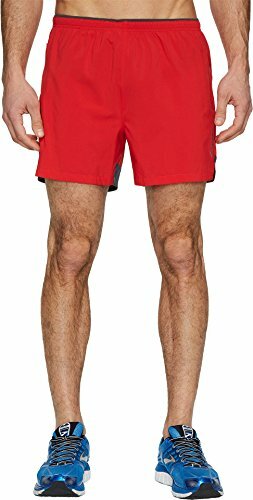 These are one of the shortest men’s shorts available, usually worn by the guys crossing the finish line first. Designed for running performance, these shorts enhance your running experience. The thin polyester fabric and relaxed fit prevent the shorts from sticking uncomfortably to your skin and restricting your range of motion. The side split adds to the freedom of movement. The Asics 3-inch split shorts offer versatility as they are designed for both daily training and racing. Wear these shorts when temperatures rise above 65 degrees. When track and pavement surfaces rise, breaking a sweat won’t slow you down. These shorts are excellent for training. The fit is relaxed, allowing for cooling airflow as you run. Mesh side panels and lining add to this cooling effect. The 100% polyester material boasts New Balance’s dry, moisture-management fabric technology so your shorts won’t cling and restrict your motion. New Balance Impact 3” Split running shorts contain a swim-trunk-like mesh liner to provide comfort and support without the need to wear a possibly restrictive pair of underwear. Next up, 5” inseam shorts. 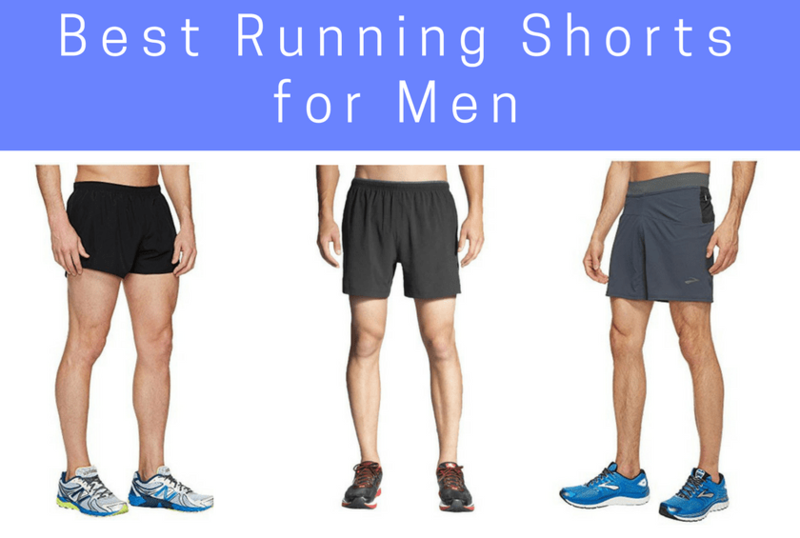 This is the classic running short length and the most popular length by far. These shorts are go-to for a reason. The mid-length inseam doesn’t bunch up as you run, nor does it hang so low that it restricts movement. The waistband contains a drawstring so you can adjust the fit. Brooks uses its registered lightweight, polyester DriLayer material in these shorts. It keeps you dry and doesn’t stick to your skin. The leg openings are notched for movement of air and muscle. Built-in briefs keep you secure and comfortable. 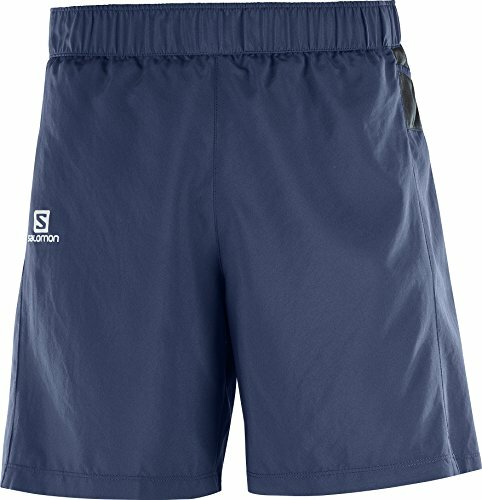 The Sherpa 5” shorts by Brooks are designed for distance runners. These shorts will keep you comfortable for the duration of your run whether you’re running several miles or a full marathon. True to its name, these shorts feature two side pockets to hold gels and other small non-essentials and a larger zippered pocket in the back. Both the fit and the fabric enhance your distance performance. The Sherpa is semi-fitted: it’s loose without being fully relaxed, and it follows your body’s contours without hugging tight. DriLayer technology in the polyester-spandex blend fabric keeps you dry on long runs. These shorts are made for long distance running and are engineered to perform for the duration. They have a soft inner shell and an outer shell, together comfortable and extremely lightweight. Agile shorts are comprised of 78% polyester and 22% elastane, making them lightweight and flexible. Their advanced skin active dry technology whisks away perspiration, rain, and even mud to keep you dry. Mechanical stretch mesh means that the shorts flex with your movement. Nike’s Distance Shorts have the acclaimed Dri-FIT technology. This means that they keep you cool and dry for the duration of your longest runs. The thin, lightweight, polyester fabric contributes to the cooling effect even in the heat. These shorts have a fitted inner short and a relaxed-fit, mesh-covered outer short. Together, both provide comfort, support, and ventilation. Each side has a small split that allow your muscles to extend and flex. 7” inseam shorts provide a bit more coverage for those who prefer a longer short. They are not the longest out there, but they are perfect for someone who wants a longer short, but doesn’t want to feel too restricted. The Brooks Cascadia 7” shorts are outstanding for trail running and perform well during long road runs. The performance fabric is flexible, allowing you to adjust your stride and maintain your pace even on rugged terrain. They have a large, zippered pocket to store a phone. You’ll stay cool and dry in temperatures above 65 degrees because of DriLayer moisture-wicking fabric. Two layers of fabric, inner brief and outer, provide support while remaining relaxed and lightweight. These shorts are expensive but have one of the best fits and features of all the shorts out there. Whether you’re running off-road, around town, or engaging in another activity, Salomon Trail Runner Short are made to perform for you. The shorts are lightweight and fast-drying to keep you moving forward. These trail runner shorts have a relaxed fit and are made to look causal but sporty. Wear them while trail running, town running, doing another activity that requires comfort, or hanging out. They have numerous pockets for gels and a zippered pocket in the back big enough for cash, ID, or a small phone. These running shorts for men offer a relaxed fit for your run. The fit and polyester fabric provide all-day comfort and versatility for a variety of training and other activities. DriLayer technology is moisture-wicking so you stay cooler even in very warm temperatures. These also boast a built-in brief liner for support. Even though the inseam is 7 inches, you don’t lose range of motion thanks to notched openings in the legs. Wherever you run or train, the Brooks Go-To shorts will quite likely become your go-to shorts of choice. High quality shorts offer fit and performance for distance running and racing—including marathons—as well as trail running. The lightweight, DriLayer fabric allows for this versatility. The breathable polyester-spandex material provides the right amount of stretch to enhance your performance. Like the 5″ version, these have numerous pockets to store gels, ID, and keys. The shorts come with a lightweight, breathable yet snug, compression-like liner that surpasses mesh liners in support, comfort, and discretion. You can adjust the fit of your shorts with the drawstring. Enjoy these versatile performance shorts during your long runs, wherever those runs may be. 9” inseam shorts are the longest running shorts. There aren’t too many options since this is the least popular length. Many runners like the coverage but find it’s too restricting. 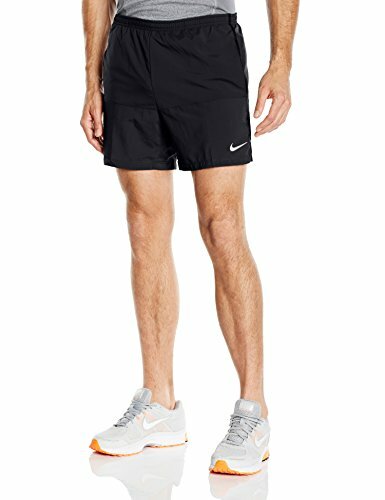 These shorts from Nike allow you to run the distance. The Dri-FIT, polyester material and mesh panels wick moisture and provide ventilation so you stay cool and dry. An inner liner provides additional cooling as well as support as you run. With a 9” inseam, the Distance Shorts are short enough not to impede your motion but long enough to provide coverage. Inside and out, the shorts allow natural movement. They remain flexible, cool, and supportive throughout your run. This style of running shorts features a tight, boxer length inner lining instead of the traditional bikini-style brief. The advantage is your much less likely to experience chafing; however, some runners find this style of short too restrictive. 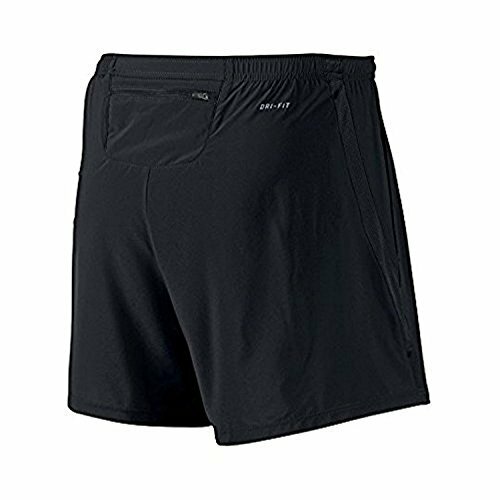 With these shorts, Asics provides runners with an inner layer that breaths and supports. As you work out, enjoy your run in these 2-in-1s that have a stretchy outer layer and supportive inner layer. Polyester fabric breaths, draws moisture away from your skin, and keeps you cool. The drawstring waist allows you to adjust the fit of these shorts so it is neither too tight nor too loose. Without physical discomforts to distract you, you can focus on your performance. 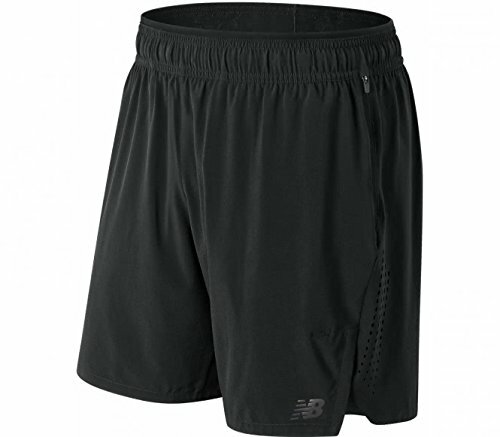 Enhance your range of motion and overall performance with the Transform 2-in-1 shorts from New Balance. These polyester/spandex shorts are stretchy for maximum flexibility. They’re also cool and breathable thanks to wicking technology and perforations along the sides of the legs. In running shorts for men, an athletic fit helps you move in ways you need to without restriction. The flexibility and breathability of these shorts don’t sacrifice support. Both the inner and the outer layers of these running shorts work with your body for your performance. New Balance’s Transform 2-in-1 Shorts are a must on this list of the best running shorts for men. What are men’s running shorts made out of? Most men’s running shorts are made from synthetic fibers, usually polyester-spandex blend or a nylon blend. These types of shorts not only offer a good fit, but they also provide optimal moisture-control to prevent discomfort and chafing. Men’s synthetic-based running shorts provide great durability, so runners can use them frequently. 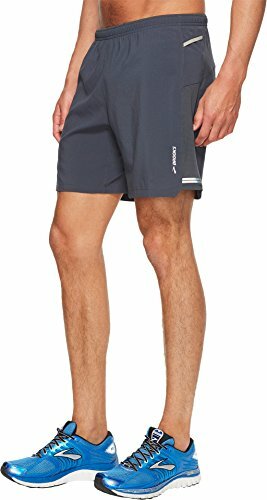 Why do men’s running shorts have liners? 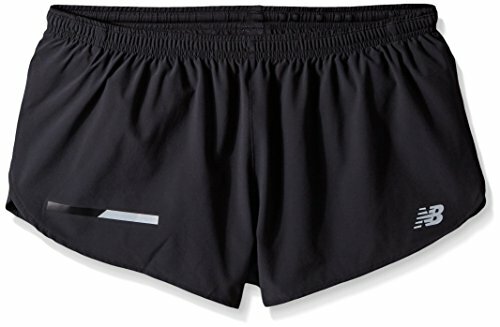 Most men’s running shorts have a built-in liner. The purpose is to manage moisture and keep sweat away. Most runners choose to wear running shorts sans underwear. The built-in liner provides enough support and keeps you cool. There are two types of liners in men’s running shorts. The most common is the bikini brief style. This keeps you cool and supported. 2-in-1 style shorts offer a boxer-brief liner. This are good if you chafe easily on the inside of your thighs. What are men’s split leg shorts? 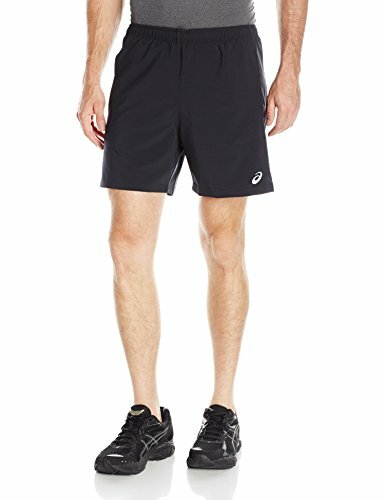 Due to their unique design and loose fit, men’s split leg shorts provide the greatest range of motion for the runner. That’s why they most often preferred by the fast runners. One of the most common features of men’s split leg shortsis the upside v-shape cutout that is strategically located on the outer leg seam. This unique design begins about half-inch from the hem. 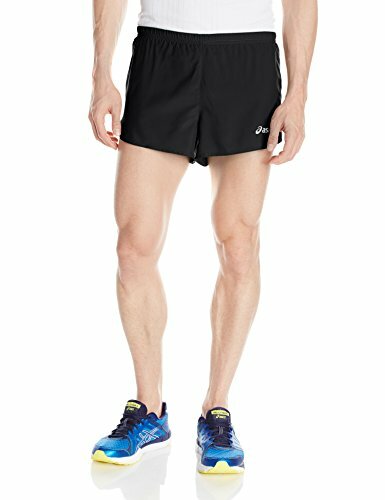 As compared to other types of men’s running shorts, split leg shorts typically have a shorter inseam of 2-3 inches. How much breathing room should men’s running shorts have? We strongly believe that men’s running shorts should always have a lot of breathing room. 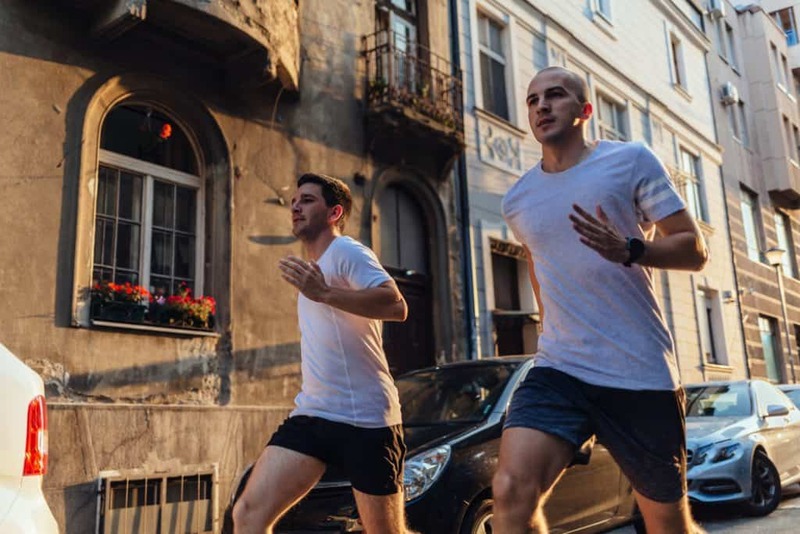 When running shorts offer you optimal ventilation, moisture control, and freedom of movement, you are less likely to experience chafing and irritation. In almost all cases, more breathing room in your running shorts equates to a dry and comfortable run. How are men’s running shorts measured? Running shorts are measured by the length of the inner seam. This is the distance between the seam located at the base of the crotch and the one at the bottom of the running short’s leg. Most running shorts come in lengths from 3 inches to 7 inches with a few options that are shorter or longer. 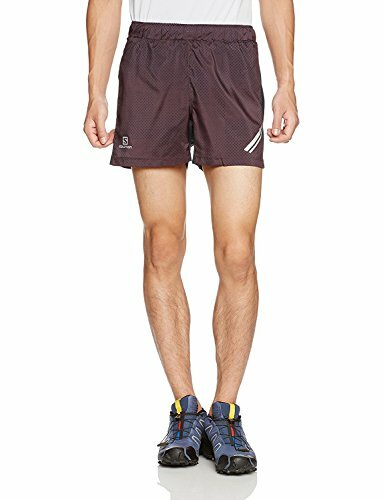 What is the ideal length for men’s running shorts? There is no correct answer here. It really comes down to personal preference. Medium length shorts of five inches are the most popular length. They offer the best of both worlds: they allow freedom of movement while modest in length. Many runners don’t go shorter than 5 inches for modesty reasons – or just because casual shorts are longer and wearing something so short doesn’t feel natural. 7 inch inseams or longer are best for cooler weather or if you want a short that covers most of your thighs. This length tends to be more popular with trail runners and weekend runners. Longer shorts usually have more pockets and storage than shorter shorts. Should you get longer or shorter men’s shorts based on the distance you run? Most long distance runners prefer longer shorts. Many long running shorts have pockets. And since speed is less of a concern for longer runs, wearing a “fast” pair of shorts isn’t as important. Although short length shorts of 3 inches can technically be worn for long distance, they are better for short distance and sprints due to their lightweight and non-restrictive design. Since they offer great range of motion and ventilation during a run, they are commonly worn by fast runners at short races. What is the difference between men’s compression shorts and running shorts? While men’s compression shorts resemble cycling shorts, have compression concentrated around the thighs (and lack the chamois padding). They are designed to increase the blood flow to your legs, resulting in better performance while running. They are also have long inseams, typically between mid-thigh to knee-length. Finally, compression shorts provide exceptional flexibility due to its stretchy material. Compression shorts can be worn by themselves. But most runners choose to wear compression shorts under looser shorts that lack a liner.